Mohini Ekadashi occurs during the Shukla Paksha (waxing phase of moon) in the month of April/May. 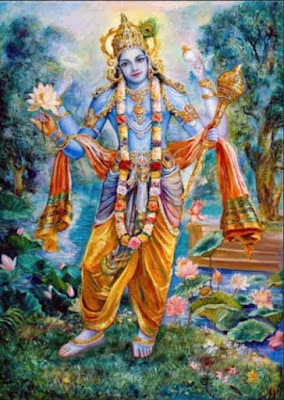 In 2018, the date of Mohini Ekadasi is April 26. Ekadasi fasting, which falls on the 11th day of a lunar fortnight, is dedicated to Lord Vishnu. It is believed that one will be able to overcome sadness and remorse by observing Mohini Ekadasi. Below is a brief description on how to observed Mohini Ekadasi, benefits and the mantra to be chanted on the day. Mohini Ekadashi falls in the month of Vaishakha in calendars followed in North India and other regions. It falls during Chithirai Month in Tamil Calendar. Mohini form of Vishnu is worshipped on the day. The importance of Mohini Ekadashi is mentioned in the Surya Purana. The greatness of it was narrated to Yudhishtira by Lord Krishna. Sage Vasishta talks about this Ekadasi to Lord Ram who approaches the Sage with a heavy heart after his separation from Sita. Sage Vasishta suggests to Lord Ram he will be able to over the sadness and remorse by observing Mohini Ekadasi. As it will help him to overcome ignorance and distress created by Maya. The sage also says that the Ekadasi helps in removing the burden of sins. What to do on Mohini Ekadasi? Taking bath by putting Kusha or Durva grass is highly auspicious. Applying til paste (sesame paste) and taking bath is meritorious. All the regular practices associated with Ekadasi are followed during Mohini Ekadasi. Those observing partial fast avoid rice. It is said that the fasting on Mohini Ekadasi is better than bathing in holy in rivers and performing sacrifices. Ideal for those who are struggling in life due to unwanted attachments. Ideal for those who are attempting to tame and keep their senses and mind in control. Observe the vrat is equal to donating 1000 cows. Financial problems will be solved. Fights in the family will be resolved. There will be progress in business, profession and career. Good vrat for those looking to get a good job. How to do Puja on Mohini Ekadasi? The puja is to be performed in the early morning hours just after sunrise. The person should take bath and wear yellow color dress. Place the picture or murti (idol) of Bhagavan Vishnu on a yellow color cloth in the northeast corner of the house. Take kalash and fill it with water. Cover the mouth of the kalash with 11 peepal leaves. There is no need to keep a coconut. To light the lamp on the day mix cow ghee and turmeric powder. One wick is preferred. Dhoop or agarbhati should be of sandalwood. Yellow color flowers should be offered. 11 bananas should be offered as bhog or naivedya (prasad). This should be later given to a cow. Mohini Ekadasi mantra given above should be chanted 108 times. Those facing financial trouble can offer a coin to Bhagavan by smearing it with kesar. This should later be kept in the purse. Offering sunflower flower on the day during puja will help in solving difference of opinion and fights in the family. Offer 11 dried turmeric on the day will help in improving business. It is also ideal for those looking to find a new job. After puja the turmeric can be used for cooking.